Students dip sections of apples into lemon juice, vinegar, and water to determine the effect of these solutions on their ability to prevent or slow down the browning of fruits such as apples. Lemon juice (citric acid) did the best job of slowing down the browning process while the fruit exposed to air had the most browning on the surface of the fruit. The enzyme responsible for the browning of fruit is inactive at low pH levels. 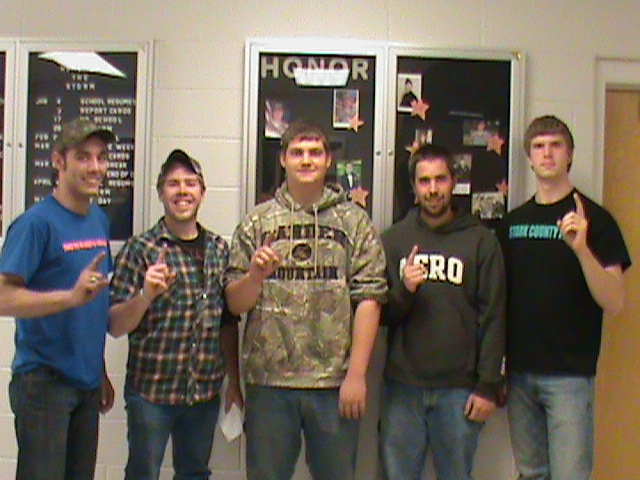 First place Section 3 Agriculture Mechanics CDE team (l to r): Mitchell Hulsey-Third place in Welding, Michael Forstrom-First place in Agriculture Power, Nolan Elsasser-First place in Surveying, Kevin Baumann- First Place in Electricity, Rob Delbridge-Third place in Carpentry. Team advances to state competition at the University of Illinois on May 17. Annawan Agriculture Instructor Terry Lancaster announces results from the Section FFA Agriculture Mechanics Career Development Event at Bureau Valley High School. First place Section Dairy Cattle CDE Team from Stark County FFA. 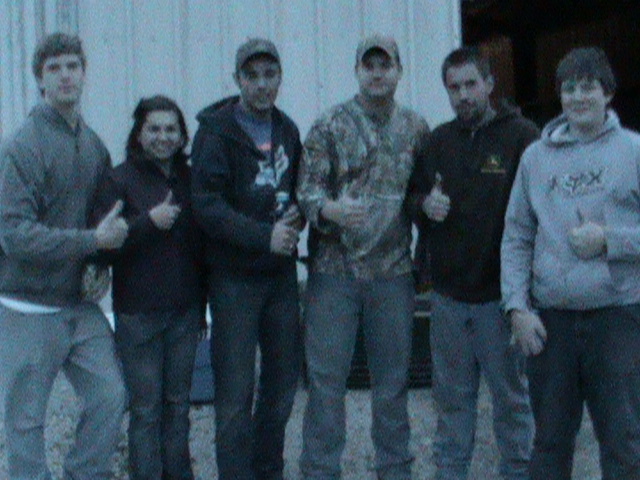 Rob Delbridge, Elizabeth Heaton, Mitchell Hulsey, Nolan Elsasser, Kevin Baumann, and Colton Schmitt. Baumann placed first individually, Elsasser placed sixth individually, and Schmitt placed ninth individually. Doug Murray explains a judging class on dairy cattle during the Section 3 Dairy Cattle CDE at Toulon. Plant Science students boil leaves in water first and then in rubbing alcohol to extract the chorophyll. Leaves are flooded with iodine to examine the starch deposits present from the process of photosynthesis. Sections of plant leaves were covered with black paper leaving a small opening for light to strike the leaf surface. The chlorophyll extraction procedure is performed and students compare starch deposits in covered and uncovered sections of the leaf. The Starch Digestion Lab simulated the digestion of starches into sugars by the enzyme amylase in the saliva in the animal’s mouth. The dialysis tubing simulates the semi-permeable membrane of the cell allowing the smaller sugar molecules to pass through while larger starch molecules cannot pass through the membrane. Iodine in the presence of sugar turns amber yellow color while Benedicts solution in the presence of sugar turns any color besides the original blue color.